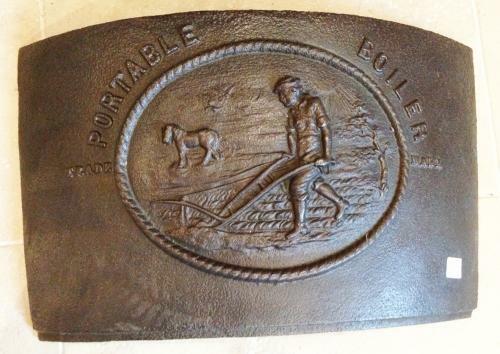 Victorian Decorative Boiler Plate with image of farmer ploughing. Very good condition. Originally from a portable (they weren't - they weighed a ton) boiler.